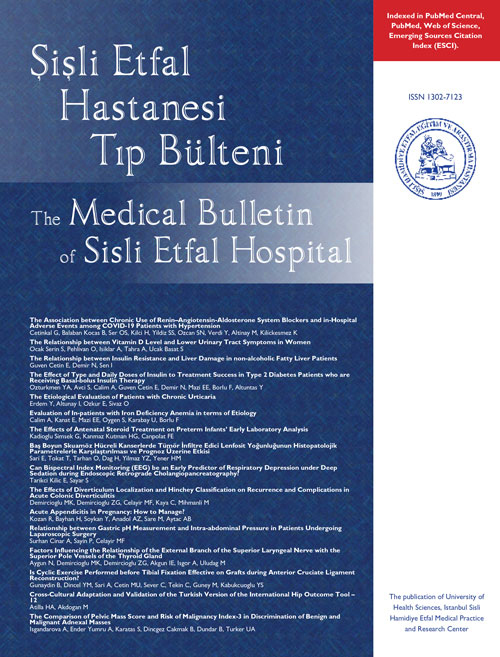 Sisli Etfal Hastanesi Tıp Bülteni/ The Medical Bulletin of Sisli Etfal Hospital is a double-blind peer-reviewed, and open-access journal. The journal aims rapid publication of papers in all fields of the medical sciences on a regular basis. Med Bull Sisli Etfal Hosp publishes editorials, original papers of experimental and clinical research, reviews, case reports, letters to the editor and articles on the current issues of medicine. Four issues are released every year in March, June, September, and December. The language of publication is English. Articles may be submitted in Turkish and will be translated to English. Free full-text articles are available at www.sislietfaltip.org. Submission is a representation that neither the manuscript nor its data have been previously published (except abstracts and press reports published in connection with scientific meetings) or are currently under consideration for publication. Materials copied from other sources must be accompanied by a written statement from both author and publisher giving permission to Med Bull Sisli Etfal Hosp for reproduction. It is the author's responsibility to ensure that permissions are obtained. The differences between the papers should be explained in detail. Med Bull Sisli Etfal Hosp follows the authorship criteria developed by the International Committee of Medical Journal Editors. All persons designated as authors should qualify for authorship, and all those who qualify should be listed. Each author should have participated sufficiently in the work to take public responsibility for appropriate portions of the content. One or more authors should take responsibility for the integrity of the work as a whole, from inception to published article. Authorship credit should be based only on; (1) substantial contributions to conception and design, or acquisition of data, or analysis and interpretation of data, (2) drafting the article or revising it critically for important intellectual content, and (3) final approval of the version to be published. Conditions 1, 2, and 3 must all be met. Acquisition of funding, the collection of data, or general supervision of the research group, by themselves, do not justify authorship. All others who contributed to the work who are not listed as authors should be named in the acknowledgments, and their contribution should be described. Authorship of multicenter trials is attributed to a group. All members of the group who are named as authors should fully meet the above criteria for authorship. Group members who do not meet these criteria should be listed, with their permission, in the acknowledgments. Financial and material support should also be acknowledged. All statements and opinions expressed in the manuscripts published in Med Bull Sisli Etfal Hosp reflect the views of the author(s). All liability for the advertisements rests with the appropriate organization(s). The Editor-in-Chief, and Kare Publishing do not accept any responsibility for claims made in articles or advertisements. The authors transfer all copyright to the manuscript to the Med Bull Sisli Etfal Hosp according to the framework of national and international regulations at the start of the evaluation process. 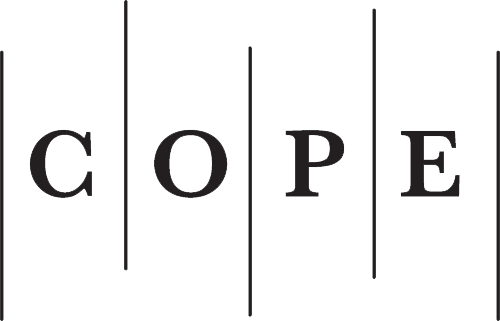 A Copyright Transfer Form signed by the corresponding author must be submitted to the journal with the manuscript. A separate form should be submitted for each manuscript. Manuscripts submitted without a Copyright Transfer Form will not be accepted. After acceptance of the manuscript, all of the authors must complete and sign a Copyright Transfer Form. The authors must affirm that they will not submit the work to another journal, publish it in the original or another language, or allow a third party to use the manuscript without the written permission of the Med Bull Sisli Etfal Hosp. In the event that the manuscript is rejected, all copyrights transfer back to the authors. Manuscripts that are declined will not be returned, with the exception of artwork. The journal aims at rapid publication of the submitted manuscripts. Med Bull Sisli Etfal Hosp promotes expert refereeing by peers as a tried and true method for the maintenance of standards of excellency in the scientific community. All papers are double blind peer-reviewed to determine the originality, validity and importance of content and conclusions. Manuscripts will be reviewed by two external reviewers for content, originality, importance to the field, appropriateness of statistical analysis, and derivation of conclusions. In the case of discrepancies between peer reviewers, the manuscript would be sent to a third reviewer. All reviewers remain anonymous. Final decision regarding the acceptance of the submitted articles belong to editor-in-chief. All reviews will be completed within one month of submission to the journal. Authors will be sent reviewers comments that are judged to be useful to them. In principle, the instructions, objections and requests made by the reviewers should be strictly followed. With revised form of manuscript, the authors should state clearly and precisely every step taken in accordance with the reviewers' requests. The description should be listed on a numbered basis, in the order of reviewers' comments. Altered paragraphs in the new version of the manuscript should be specified using page and paragraph numbers. Paragraph on top of a page is considered no 1, even if it does not begin on that page. All manuscript submissions are encouraged to be submitted electronically to www.sislietfaltip.org. Along with revised form, the accepted paper in its final form also should be sent to www.sislietfaltip.org. by all contributing authors) at the time of the initial submission. These forms are available for download at www.sislietfaltip.org. All correspondence will be sent to the first-named author unless otherwise specified. Corresponding author is expected to provide an e-mail address for all further correspondence. Papers should be accompanied by a cover letter indicating that the paper is intended for publication and specifying for which section of the Journal it is being submitted (i.e., original article, review article, or case report etc). Authors will be notified of the receipt of their paper and the number assigned to it. The number should be included in all further correspondence. Authors should note, however, that manuscripts may be returned after initial review by the editorial office if the paper is deemed unlikely to be reviewed favorably by virtue of size restrictions and/or general interest for the readership. This rapid rejection process enables the author to promptly submit for publication elsewhere. All pages of the manuscript should be consecutively numbered starting from the title page (page 1, title page; page 2, Turkish abstract (Turkish authors only); page 3, English abstract, etc.). Page numbers should be indicated on the upper right-hand corner of each page. The final electronic version of the manuscript should be in “.doc”, “docx” or “.rtf” format. Med Bull Sisli Etfal Hosp publishes the types of articles briefly described below. Statistical analysis is usually necessary to support conclusions. Statistical analyses must be conducted in accordance with international statistical reporting standards (Altman DG, Gore SM, Gardner MJ, Pocock SJ. Statistical guidelines for contributors to medical journals. Br Med J 1983:7;1489–93). Information on statistical analyses should be provided with a separate subheading under the Materials and Methods section and the statistical software that was used during the process must be specified. References are numbered and listed by their order of appearance in text; the text citation is followed by the appropriate reference number in parentheses. References should be restricted to closely pertinent material. Accuracy of citation is the author's responsibility. References should conform exactly to the original spelling, accents, punctuation, etc. All references should be cited inside the text. The reference styles for different types of publications are presented in the following examples. Marshall RD, Stein DJ, Liebowitz MR, Yehuda R.; A pharmacotherapy algorithm in the treatment of PTSD. Psychiatric Annuals 1996;26:217–26. Philips SJ, Whisnant JP. Hypertension and Stroke. In: Laragh JH, Brenner BM (editors). Hypertension pathophisiology, diagnosis, and management. 2nd ed. New York: Raven Press, 1995: 465–78. Author. Title. Alternate Title Year Date Accessed.doi: DOI. [Epub ahead of print]. Cai L, Yeh BM, Westphalen AC, Roberts JP, Wang ZJ. Adult living donor liver imaging.DiagnIntervRadiol. 2016 Feb 24.doi: 10.5152/dir.2016.15323. [Epub ahead of print]. Med Bull Sisli Etfal Hosp is an independent scientific journal, and published quarterly. It is distributed free of charge. Views expressed in the journal do not necessarily reflect sponsoring pharmaceutical companies' own published literature. A mention of a company in the journal is neither an offer nor solicitation. Med Bull Sisli Etfal Hosp is an open access journal which means that all content is freely available without charge to the user or his/her institution. Users are allowed to read, download, copy, distribute, print, search, or link to the full texts of the articles, or use them for any other lawful purpose, without asking prior permission from the publisher or the author. This is in accordance with the BOAI definition of open access.